This book explores the changing fortunes of the heroes of Greek myth and history in the melting pot of popular culture. Using little-known examples, classicist and film fan Gideon Nisbet charts the hidden history of Greece in the twentieth-century imagination, from film to science fiction and comics. As the twenty-first century began, no less than seven production companies were declaring their intention to turn Alexander the Great into a wide-screen hero. The rivalry was intense, the resulting media circus unprecedented. How could a long-dead warlord generate so much movie-industry gossip in the present day? And why, in a century of film-making, had so few versions of his story - or that of Troy’s fall - made it to the big screen? When did we last see Classical Athens or Sparta in a movie? In the aftermath of Gladiator (2000), with Hollywood studios rushing to revisit the ancient world with Troy and Alexander (both 2004), these questions take on renewed significance.Nisbet here unpacks the ideas that continue to make Greece hot property in Hollywood. His lively exploration, which assumes no prior expertise in classical or film studies, will appeal to anyone with an interest in 'reception': the present day’s continual re-use and re-invention of the past. ... a swift and enjoyable read, accessible to anyone with an open mind - there is much to be learned about film and classics alike. Over the course of three chapters and an epilogue, Nisbet again and again offers revelations on his subject that warrant long and deep thought. 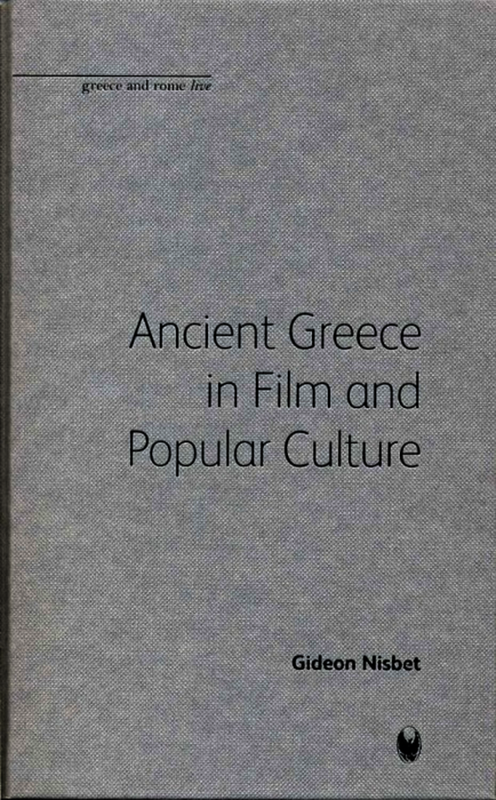 ‘Ancient Greece in Film and Popular Culture is the result of a great deal of thought by an intelligent scholar. It inspires in the reader new reflections on popular culture and how it shapes our understanding of the ancient world and will leave them keen to explore the more “academic” discussions. “Classics and Cinema” courses are fast gaining popularity in North America. For a decade Maria Wyke’s Projecting the Past: Ancient Rome, Cinema and History has served the students of “Hollywood Rome.” Nisbet has now produced a companion for those ready to explore the often humourous, always fascinating trials of Ancient Greece in modern mass media.